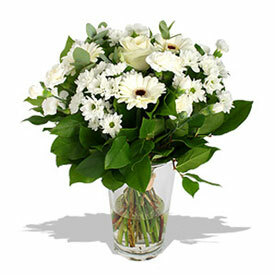 Surprise someone by sending this bouquet of pure white flowers as the message of affection it conveys. 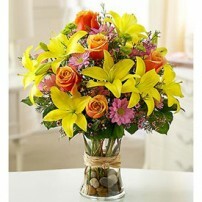 The roses go perfectly with gerberas and daisies, and decorative greens to give it a pop of color. 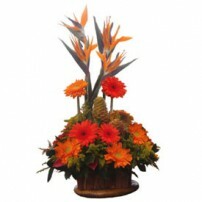 This is the ideal gift to celebrate a wedding or a new baby, an arrangement as bright as the smile on the face of the person who receives it at home. 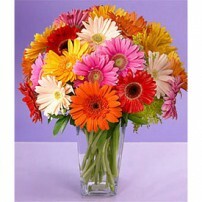 Arrangement of white roses, daisies, gerbera daisies and foliage in a fine glass vase. Approximately 22” W. x 24” H.